Theodore Arm has delighted audiences throughout the United States, Canada, Europe and Asia with his artistry. He has appeared as soloist, recitalist and guest artist with such well-known organizations as The Chamber Music Society of Lincoln Center. In 2011 Mr. Arm conducted master classes in Korea and performed as a guest artist at the opening concert of the new Chamber Music Hall at the Seoul Arts Center. Since 1976 he has performed with the highly acclaimed chamber group TASHI and has toured with Lukas Foss, Chick Corea and Gary Burton throughout Europe and Asia. He has had several works written for him, including a violin chamber suite by Gabriela Frank that was premiered at Carnegie Hall in November 2004. In 2007 he concertized in Poland and Russia during a two-week tour at the invitation of the Moscow Conservatory. Mr. Arm is a favorite with summer chamber music festival audiences. He is a regular featured artist at Chamber Music Northwest in Portland, Oregon, and Music from Angel Fire, New Mexico. He has recorded for RCA, Delos, Koch, Musical Heritage Society and ECM. Mr. Arm is currently Adjunct Professor of Violin at Connecticut College. He holds a Doctorate in Performance from The Juilliard School, where he studied with Christine Dethier and Joseph Fuchs. 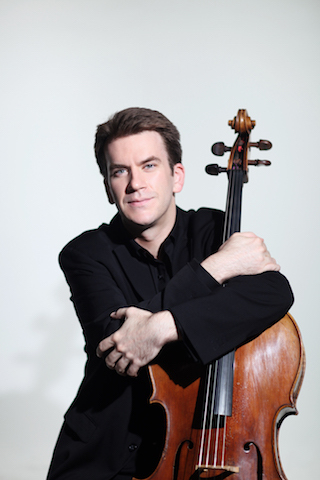 A native of Cincinnati, Ohio, cellist Edward Arron has appeared in recital, as a soloist with major orchestras, and as a chamber musician throughout North America, Europe and Asia. In 2013, Mr. Arron completed a ten-year residency as the artistic director of the critically acclaimed chamber music series, Metropolitan Museum Artists in Concert. Currently, he is the artistic director, host, and resident performer of the Musical Masterworks concert series in Old Lyme, Connecticut, as well as the Festival Series in Beaufort, South Carolina, and Chamber Music on Main at the Columbia Museum in Columbia, SC. ​Mr. Arron has performed numerous times at Carnegie’s Weill and Zankel Halls, Lincoln Center’s Alice Tully and Avery Fisher Halls, New York’s Town Hall, and the 92nd Street Y, and is a frequent performer at Bargemusic. Festival appearances include Ravinia, Salzburg, Mostly Mozart, BRAVO! Colorado, Tanglewood, Bridgehampton, Spoleto USA, Santa Fe, Seattle Chamber Music, Great Mountains, Charlottesville, Telluride Musicfest, Seoul Spring, Lake Champlain Chamber Music, and Bard Music Festival. He has participated in Yo-Yo Ma’s Silk Road Project as well as Isaac Stern’s Jerusalem Chamber Music Encounters. A graduate of the Juilliard School, Mr. Arron has served on the faculty of New York University since 2009. Cellist Natasha Brofsky has a busy performing and teaching career, which has taken her to China and Europe as well as to many cities in the U.S. Highlights of her 2016-17 season included two chamber music tours to China with fellow Juilliard faculty members and alums. As a member of the renowned Peabody Trio for seventeen years, Brofsky performed on important chamber music series throughout the U.S., Canada and the U.K and was heard on numerous radio broadcasts. Champions of new music as well as the classics, the trio recorded on the New World, CRI, and Artek labels. Brofsky has performed as guest with numerous ensembles, including the Takács, Prazak, Norwegian, Borromeo, Jupiter, Ying and Parker Quartets. She recently became artistic director of Music for Food’s New York chapter, a musician led initiative for local hunger relief. 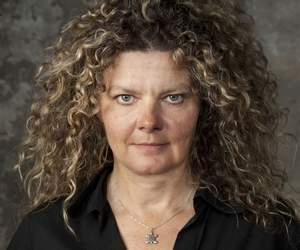 During nearly a decade in Europe, Ms. Brofsky won the Muriel Taylor cello prize and held principal positions in the Norwegian Radio Orchestra and the Norwegian Chamber Orchestra under Iona Brown. She was a member of the Serapion Ensemble and the string trio Opus 3 and was a regular participant at Open Chamber Music in Prussia Cove, England. Ms.Brofsky has recorded the Fantasy Variations of Shulamit Ran as well as Olav Anton Thommessen's Concerto for Cello and Winds. 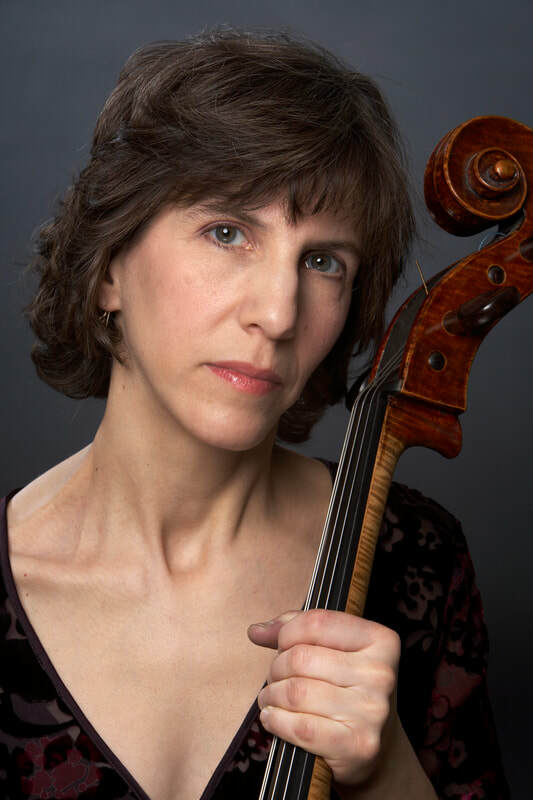 A sought after teacher, Natasha Brofsky serves on the cello faculties of New England Conservatory and the Juilliard School. Jeffrey Chappell has performed throughout the United States in recitals and chamber music and has been a piano soloist with major symphony orchestras including those of Philadelphia, St. Louis, Pittsburgh, Houston, and Indianapolis. His many appearances with the Baltimore Symphony include concerts at Carnegie Hall and Wolf Trap, and a substitute for Claudio Arrau on four hours’ notice, playing the Brahms Second Concerto. Many of his performances have been heard on nationwide radio broadcasts. He has concertized in Europe, Asia, and Latin America, and has appeared at summer festivals including Marlboro and the La Gesse Festival. He was a recipient of the Solo Recitalist Fellowship from the National Endowment for the Arts. Mr. Chappell has recorded on the Telarc, Centaur, Albany, Petrichor, MSR Classics, and MMC record labels. His solo piano composition “American Sonata” won the Keyboard Magazine Soundpage Competition, and “Shadowdance” was commissioned by the Mid-Atlantic Chamber Orchestra with a grant from the Meet the Composer Foundation. He served as a contributing editor for Piano & Keyboard Magazine. His teachers were Jane Allen, Eleanor Sokoloff at the Curtis Institute, and Leon Fleisher at the Peabody Institute. He is on the faculties of Goucher College and The Levine School of Music. 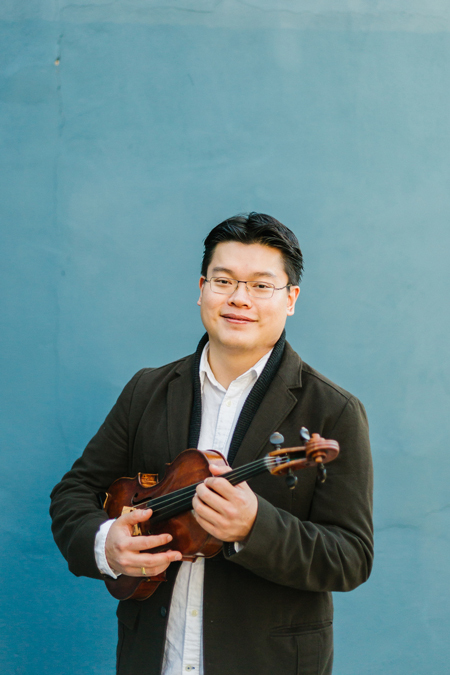 Taiwanese-American violist Che-Yen Chen has established himself as an active performer and educator. He is a founding member of the Formosa Quartet, recipient of the First-Prize and the Amadeus Prize winner of the 10th London International String Quartet Competition. Since winning the First-Prize in the 2003 William Primrose International Viola Competition and the “President Prize” of the Lionel Tertis International Viola Competition, Chen has been described by the Strad Magazine as a musician whose “tonal distinction and essential musicality produced an auspicious impression” and by San Diego Union Tribune as an artist whose “most impressive aspect of his playing was his ability to find not just the subtle emotion, but the humanity hidden in the music.” Having served as principal violist of San Diego Symphony for eight seasons, Mr. Chen serves as principal violist of the Mainly Mozart Festival Orchestra and has appeared as guest principal violist with Los Angeles Philharmonic, San Francisco Symphony, Cincinnati Symphony Orchestra, and National Arts Centre Orchestra of Canada. A former member of Lincoln Center Chamber Music Society Two and participant of the Marlboro Music Festival, he is a member of Camera Lucida, Concertante Chamber Players and The Myriad Trio. Praised as playing “gorgeously” and with “gracefulness and easy rapport” (The Boston Globe), violinist Emily Daggett Smith has performed across the United States, Europe, South America and Asia. As an active and passionate chamber musician Ms. Smith performs regularly at numerous festivals and series around the country and has shared the stage with many renowned musicians including members of the Cleveland, Emerson and Juilliard String Quartets. As a soloist, Emily made her New York debut playing the Beethoven Violin Concerto with the Juilliard Orchestra in Alice Tully Hall, and since then has performed concerti with many orchestras including Iris Orchestra, the Festival Mosaic Orchestra and the New Amsterdam Symphony Orchestra. The Formosa Quartet is “one of the very best quartets of their generation” (David Soyer, cellist of the Guarneri Quartet). Winners of the First Prize and the Amadeus Prize at the London International String Quartet Competition in 2006, the Formosa’s debut recording on the EMI label was hailed as “spellbinding” (Strad Magazine) and “remarkably fine” (Gramophone). 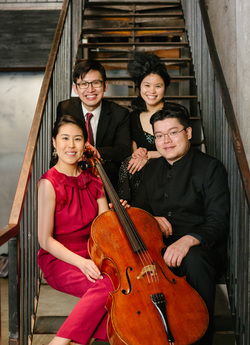 Formed in 2002 when the four founding members came together for a concert tour of Taiwan, the quartet has given critically acclaimed performances at the Ravinia Festival, the Library of Congress, the Da Camera Society of Los Angeles, Rice University, the Walter Reade Theater at Lincoln Center, and Wigmore Hall in London. The Formosa Quartet is deeply committed to championing Taiwanese music and promoting the arts in the land of its heritage, and their active commissioning has contributed significantly to the 21st century’s string quartet literature. In 2016, they premiered Lei Liang’s Song Recollections. Based on music indigenous to aboriginal tribes of Taiwan, the piece is the result of two-year commissioning project which looks ahead to a new disc of music inspired by Hungarian and Taiwanese folk traditions. Other commissions include Shih-Hui Chen’s Returning Souls: Four Pieces on Three Formosan Amis Legends and Fantasia on the Theme of Plum Blossom, Dana Wilson’s Hungarian Folk Songs, and Wei-Chieh Lin’s Pasibutbut. A dedicated chamber musician, violist Marka Gustavsson has performed internationally in the US, Canada, Europe, Israel, the Philippines, China, and Japan. She has been a guest artist Bard Music Festival, Mostly Mozart, Vancouver’s Music in the Morning, the Lincoln Center Chamber Music Society, WQXR’s Showcase Concerts, Yale Faculty Artists’ Series, and Banff. Marka has premiered and recorded solo and chamber music of composers John Halle, Joan Tower, Kyle Gann, George Tsontakis, Yinam Leef, Martin Bresnick, Richard Wernick, Tania Leon, and Tan Dun. From 1999 through 2014, Marka served as violist of the Colorado Quartet, an award-winning string quartet, with whom she performed and recorded traditional and contemporary repertoire, from Beethoven’s Complete Quartets for Parnassus, to Laura Kaminsky’s Transformations. As a teacher, Marka Gustavsson has given master classes at Yale, Eastman, Hartt, and Oberlin, and adjudicated competitions at Juilliard, Hartt, Yale, Astral Artists, and Banff. She has taught for several summers at the Yellow Barn YAP in Putney, VT. A graduate of Indiana University, Mannes College, and CUNY, her formative teachers include Joseph Gingold, Mimi Zweig, Felix Galimir, and Daniel Phillips. Ms. Gustavsson holds a faculty position at Bard College and Conservatory. 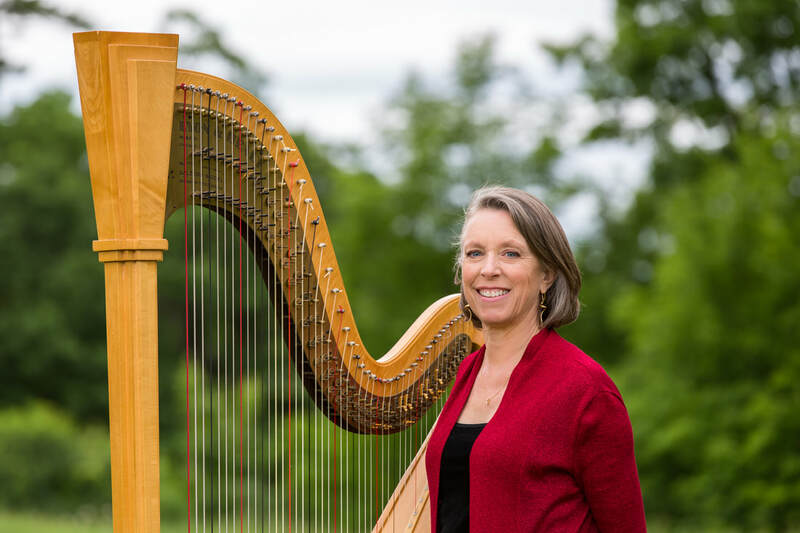 Rebecca Kauffman is currently the principal harpist with the Harrisburg Symphony Orchestra in Harrisburg, PA, a position she has held since 1979, and with whom she has been featured soloist on several occasions. Known for her full rich tone, elegant playing style and artistic musicianship, Rebecca is in much demand for both orchestral and chamber music performances throughout the Northeast, and has performed on numerous occasions with the Baltimore Symphony Orchestra, Vermont Symphony Orchestra, and the Cayuga Chamber Orchestra. Since moving to Vermont she has appeared in concert with various chamber music organizations, including Capital City Concerts, Scrag Mountain Music, Opera Company of Middlebury, Green Mountain Chamber Music Festival, Solaris and Burlington’s premiere women's choral group, Bella Voce, with whom she has recorded. Rebecca has also collaborated with many artists, including internationally renowned flutist Eugenia Zuckerman and Grammy-nominated flutist Karen Kevra. In 2012, Rebecca released her debut solo harp recording “Harp...On The Edge of Softness” which features both virtuosic harp pieces and traditional piano compositions she transcribed for the harp. In addition to performing, Rebecca and her husband, James, enjoy an active Vermont lifestyle, including cross country skiing and bicycling. Violinist Wayne Lee's performance career reflects the full breadth and diversity of his musical interests. Foremost an active chamber musician, Mr. Lee has been a member of the Manhattan Piano Trio since 2008 and a member of the Formosa Quartet since 2012. As a recitalist, he has given performances of the complete Beethoven violin sonatas, the six Sonatas and Partitas by Bach, and a cycle of commissioned works inspired by Bach’s B minor Partita. As part of his interest in historical performance practice, he performs frequently with forte-pianist Mike Lee, a collaboration that has brought the duo as performance and teaching artists to institutions such as Cornell University and Indiana University. 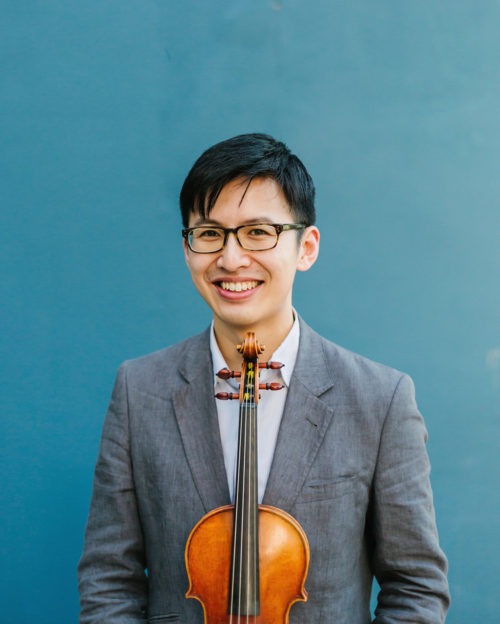 A dedicated teacher and arts advocate, Mr. Lee has given master classes throughout the United States and served as teaching assistant at the Juilliard School. He is co-founder and co-director of the Piedmont Chamber Music Festival in the Bay Area, an annual week of chamber music concerts and community events. Mr. Lee holds bachelor’s and master’s degrees from the Juilliard School and lives in New York City. 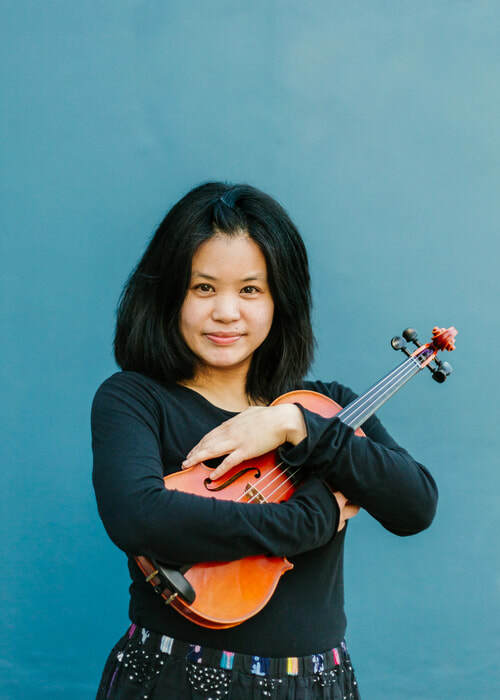 ​Jasmine Lin is a “magnificent player with superb tone and strong interpretive powers” and “a violinist of remarkable intensity”, maintain American Record Guide and Chicago Tribune. 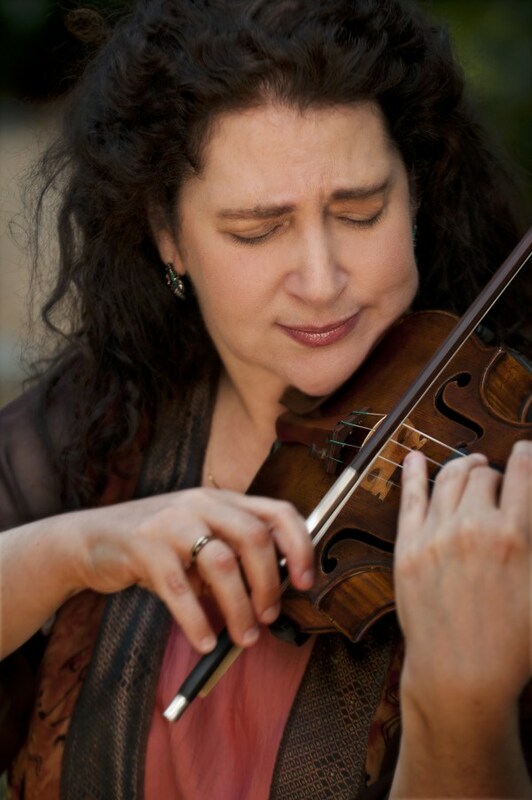 As a member of Formosa Quartet and Trio Voce; faculty member at Roosevelt University and Music Institute of Chicago; Curtis Institute of Music alumna; confidante to a Cremonese violin; arranger of Grappelli tunes; prizewinner in the Naumburg and Paganini competitions; Grammy nominee; and recording artist on Con Brio, EMI, and New World Records, Jasmine likes to solicit magnificence and intensity while leaving raindrops on her nose un-wiped-off. Her biography contains precisely one hundred words. 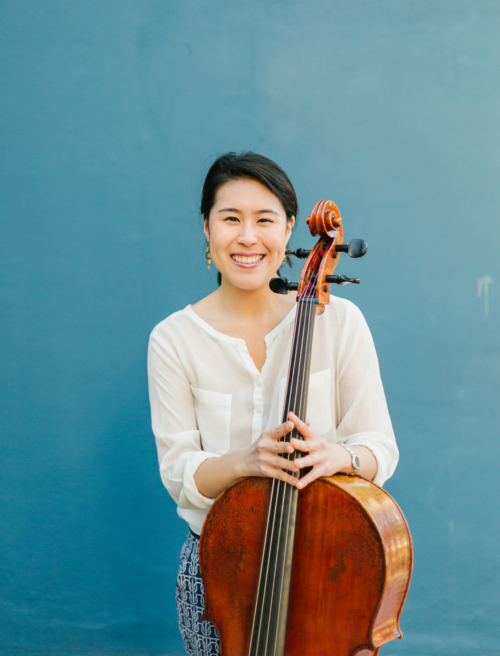 ​Admired for her “focused intensity and extraordinary musicianship" (San Diego Union Tribune) and "novel vitality” (Boston Musical Intelligencer), Korean-American cellist Deborah Pae is captivating audiences with her “superb tone...high level of interpretative intelligence” (Transcentury Blog) and "sophisticated technique" (San Diego Story). Pae enjoys a diverse career as a seasoned soloist, chamber musician, educator, and arts advocate. She has played concerti with the New Jersey Symphony Orchestra, Sinfonia Varsovia of Poland, the Liège Royal Philharmonic, Ensemble Orchestral de Bruxelles, the Royal Wallonie Chamber Orchestra, and Westchester Philharmonic, and in 2005 made her European recital debut at Musée du Louvre in Paris. Many of her performances have been broadcast internationally, most notably the 2003 GRAMMY Awards and the 75th Anniversary of the Queen Elisabeth Music Chapel in Belgium. A devoted chamber musician, Ms. Pae is the cellist of the critically acclaimed Formosa Quartet and Trio Modetre. She has also been a featured artist at festivals including Marlboro, Ravinia, Festival Les Musicales de Colmar, Crans Montana Classics in Switzerland, and the Amsterdam Cello Biennale. Ms. Pae is Professor of Cello at Eastern Michigan University. She plays a Vincenzo Postiglione (c.1885) generously on loan from the Arts and Letters Foundation in New York. ​Mr. McDonald has toured extensively as a soloist and chamber musician throughout the United States, Europe, Asia, and South America. 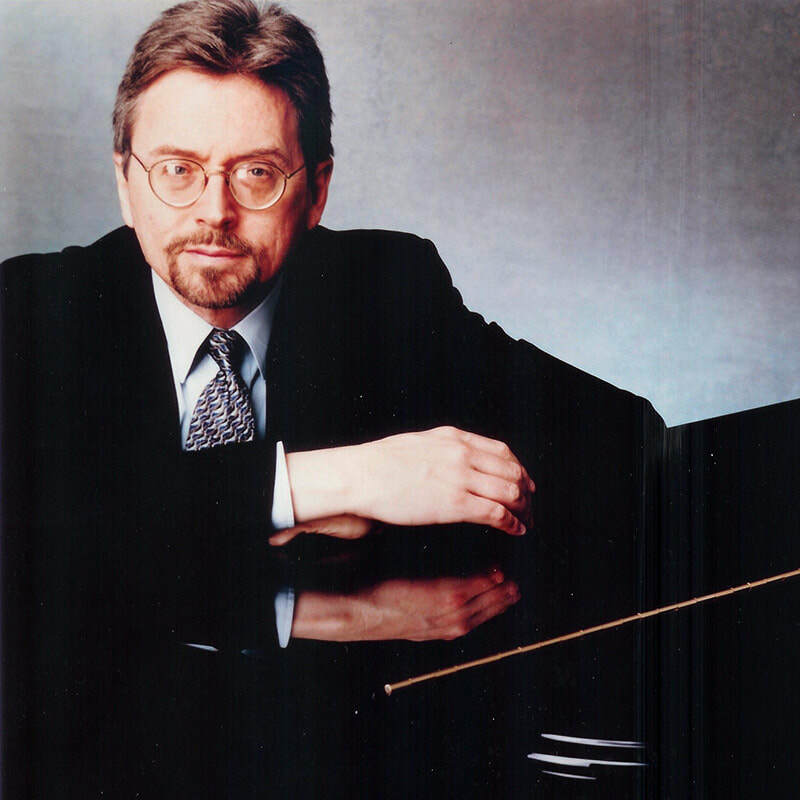 He has performed with major orchestras in the United States and was the recital partner for many years to Isaac Stern and other distinguished instrumentalists. He has participated in the Marlboro, Casals, and Luzerne Festivals, the Chamber Music Society at Lincoln Center, and has broadcasted for BBC Television worldwide. He has appeared with the Takács, Vermeer, Juilliard, Brentano, Borromeo, American, Shanghai, and St. Lawrence string quartets as well as with Musicians from Marlboro. His discography includes recordings for Sony Classical, Bridge, Vox, Musical Heritage Society, ASV, and CRI. Mr. McDonald’s prizes include the Gold Medal at the Busoni International Piano Competition, the top prize at the William Kapell International Competition and the Deutsche Schallplatten Critics Award. His teachers include Theodore Rehl, Seymour Lipkin, Rudolf Serkin, Mieczyslaw Horszowski, Beveridge Webster, and Gary Graffman. He holds degrees from Lawrence University, the Curtis Institute of Music, the Juilliard School, and the Manhattan School of Music. A member of the piano faculty at the Juilliard School since 1999, Mr. McDonald joined the faculty of the Curtis Institute of Music in 2007, where he holds the Penelope P. Watkins Chair in Piano Studies. During the summer, he is the artistic director of the Taos School of Music and Chamber Music Festival in New Mexico. ​Considered by critics to be one of the most interesting and exciting performers on the contemporary scene today, the innovative violinist Mary Rowell can not be classified. Known for her work with the Grammy Award® winning Tango Project, the indie band The Silos and pop icon Joe Jackson, she has carved an indelible place in the contemporary classical music world with the post-classical quartet ETHEL which she co-founded. ​Mary has performed, recorded and premiered countless scores of today’s composers as soloist and chamber musician. She has appeared as violin and electric violin soloist with the National Symphony, Houston Symphony, New York Chamber Orchestra, and Warsaw Philharmonic. As a composer her work has been supported by Montalvo Arts Center Lucas Artists Residency Program, artsBrookfied, the NEA, NYSCA, Mass MoCA and New Music USA. Mary performs with Turnmusic, and the composer/performer quartet Ensemble 50. 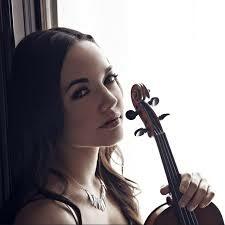 A graduate of the Juilliard School, she is currently the concertmaster of the Radio City Music Hall Orchestra. Admired for her vivid musical intensity and the beauty of her sound, Laurie Smukler is an artist who is active as soloist and recitalist, as well as being a much sought after chamber musician. Growing up in Cleveland, she began her studies at the Cleveland Institute of Music, with pedagogue Margaret Randall. She started performing early, winning local competitions, and playing as soloist with the Cleveland Orchestra at the age of fourteen. She received a Bachelor of Music degree from the Juilliard School where she studied with Ivan Galamian. As the original and founding first violinist of the Mendelssohn String Quartet, she spent eight years with that group, traveling and performing internationally. She has performed and toured with the Lincoln Center Chamber Music Society, and Music From Marlboro. With her husband, violist Ira Weller, she directed and performed in the respected series “The Collection in Concert”, at the Pierpont Morgan Library for over ten years. Laurie Smukler is a dedicated and passionate teacher. ​In addition to her appointment to the faculty of the Juilliard School in 2013, she is a respected member of the faculties of the Manhattan School of Music, the Conservatory of Music at Bard College, and until recently, Mannes College. She also spent 18 years as a Professor of Violin and Chamber Music at Purchase College Conservatory of Music. Ms. Smukler plays a Petrus Guarnerius violin made in Venice in 1738 and has recorded for Music Masters. ​Cellist Emily Taubl has attracted attention for her expressive playing and uncommon poise. 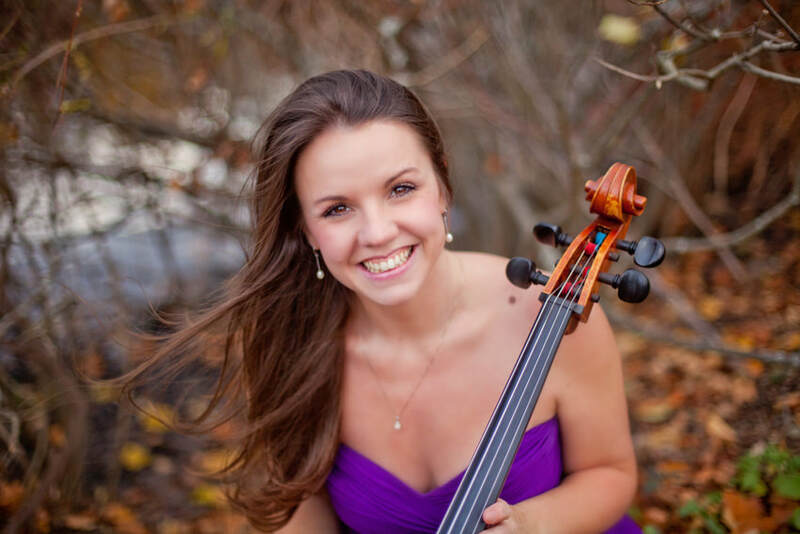 She has been called “an outstanding cellist with a bright future” by the Hartford Courant and appeared as a concerto soloist with the Hartford Symphony, Boston Virtuosi, Granite State Symphony, Nashua Chamber Orchestra, and New England String Ensemble. She has been featured as a soloist at the Piatigorsky International Cello Festival in Los Angeles, on the Boston Symphony Orchestra's Prelude Concert Series, and for The Colors of Claude Debussy: A 150th Birthday Celebration on Boston’s WGBH that was broadcast internationally. In addition, she has been recognized as the top prizewinner in the Van Rooy Competition. Having studied at the Julliard School, Yale School of Music, and the New England Conservatory, her major teachers include Paul Katz, Aldo Parisot, and Ardyth Alton. Emily lives in Burlington, VT where she teaches at the University of Vermont, Middlebury College, and Saint Michael's College. She also founded and runs the Conservatory Audition Workshop that prepares string students for auditions at top music schools. 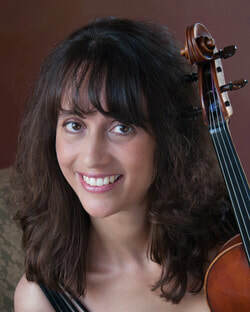 In nearly twenty years in New York, violist Stefanie Taylor performed frequently with the New York Philharmonic and as guest principal violist of the American Symphony, and in ensembles including the Orpheus Chamber Orchestra. She premiered several chamber works in venues including Merkin Hall, Roulette, and Miller Theater and performed live on WQXR. Since returning to her home state of Vermont in 2010, Stefanie has performed extensively in the region as both violist and violinist. 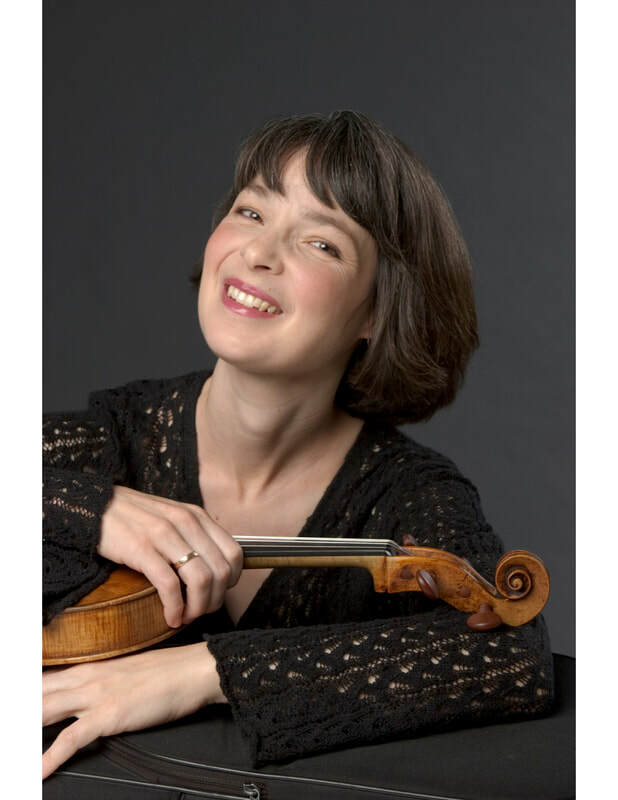 She is the assistant principal violist of the Vermont Symphony Orchestra, has led the Burlington Chamber Orchestra as concertmaster, and has been principal violist of both Middlebury Opera and Green Mountain Opera. 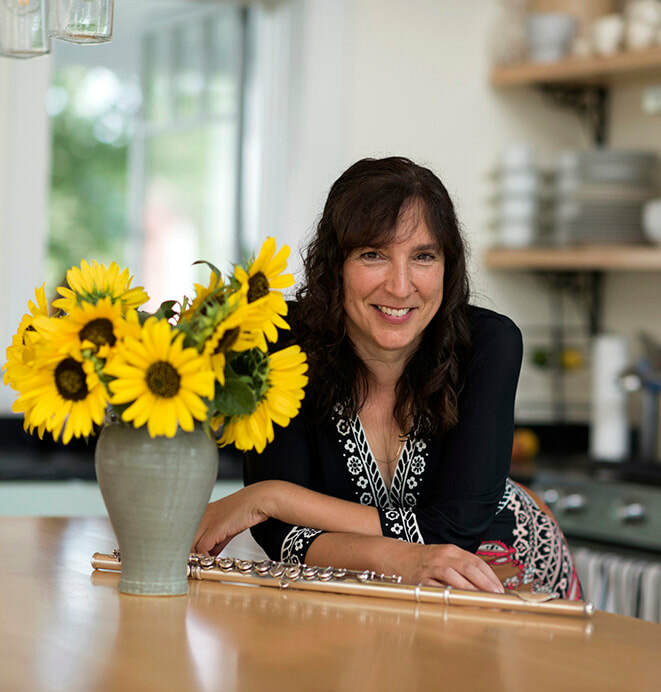 As a chamber musician, she has performed with the Craftsbury Chamber Players, Williams Chamber Players, the Manchester Music Festival, Capital City Concerts, and Burlington Ensemble. A graduate of Indiana University and SUNY Stony Brook, Stefanie studied violin with Miriam Fried, viola with Caroline Levine, and chamber music with Julius Levine and Tim Eddy. Soprano Hyunah Yu has received acclaim for her versatility in concert and opera roles of several centuries, for her work in chamber music, for her support of new music written by contemporary composers, and for her recorded and broadcast performances. She is known particularly for her performances of the music of J. S. Bach. Hyunah Yu appears regularly with esteemed conductors, opera houses, well-known music festivals, and major orchestras throughout the United States, Europe, and Asia. A prizewinner at the Walter Naumburg International Competition and a finalist in both the Dutch International Vocal and Concert Artist Guild International competitions, she also received the coveted Borletti-Buitoni Trust Award in 2003. An avid chamber musician and a recitalist, Ms. Yu enjoys re-engagements with the Philadelphia Chamber Music Society, Baltimore’s Shriver Hall Concert Series, Musicians from Marlboro, Great Mountain Music Festival, Lincoln Center’s Alice Tully Hall, the Vancouver Recital Society, the Phillips Collection in Washington, D.C., and many others. She has recorded Bach and Mozart arias for EMI and two solo recitals broadcast for the BBC. Ms. Yu also holds a degree in molecular biology from the University of Texas at Austin. 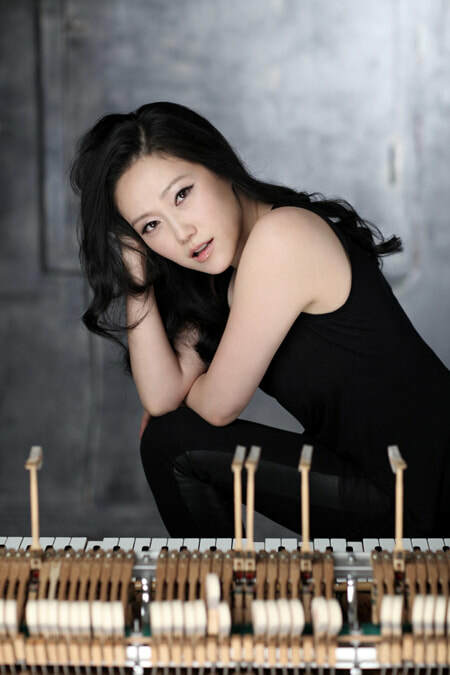 Praised for her “deeply reflective playing” (Indianapolis Star) and “infectious exuberance” (New York Times), Korean-born pianist Jeewon Park has garnered the attention of audiences for her dazzling technique and poetic lyricism. Since making her debut at the age of 12 performing Chopin’s First Concerto with the Korean Symphony Orchestra, Ms. Park has performed in such prestigious venues as Carnegie Hall, Lincoln Center’s Alice Tully Hall, Merkin Hall, 92nd Street Y, Philadelphia Museum of Art, Kravis Center, and Seoul Arts Center in Korea. In recent seasons, Ms. Park has performed at major concert halls across the U. S. and Korea. She performs as soloist with the Hwa Eum Chamber Orchestra in the Inaugural Festival of the IBK Chamber Hall at the Seoul Arts Center, as well as engagements at venues such as the Metropolitan Museum’s Grace Rainey Rogers Auditorium, Tilles Center for the Performing Arts, Vilar Performing Arts Center, and Kumho Art Hall in Seoul, among others. In addition, she returns to the Caramoor International Music Festival as a member of Caramoor Virtuosi where she was a Rising Star in 2007, the Bridgehampton Chamber Music Festival, and the Seattle Chamber Music Festival, among others. An avid chamber musician, Jeewon Park has performed at prominent festivals throughout the world, including the Spoleto USA, the Bridgehampton Chamber Music Festival, and others. She is regularly invited to collaborate with the members of the Metropolitan Opera Orchestra, the New York Philharmonic Chamber Ensemble, and has performed with members of the Guarneri, Juilliard, Vermeer, Brentano, Tokyo, Fine Arts, and Miami Quartets. Recent and current highlights include several performances of Mozart Piano Concertos K. 414 and K. 415, a recital of Messiaen Preludes and Kurtag Jatekok, a solo recital at Caramoor, an appearance at Lincoln Center's "What Makes It Great" series, and U.S. tours with the “Charles Wadsworth and Friends” series. As a soloist, she has appeared with the Charleston Symphony, Mexico City Philharmonic, Monterrey Symphony, Mexico State Symphony, and KBS Symphony Orchestra. Ms. Park has been heard in numerous live broadcasts on National Public Radio and New York’s Classical Radio Station, WQXR. Additionally, her performances have been nationally broadcast throughout Korea on KBS television. She came to the U. S. in 2002, after having won all the major competitions in Korea, most notably Joong-Ang and KBS competitions. Ms. Park is a graduate of The Juilliard School and Yale University, where she was awarded the Dean Horatio Parker Prize. She holds the DMA degree from SUNY Stony Brook. Her teachers include Young-Ho Kim, Herbert Stessin, Claude Frank and Gilbert Kalish. 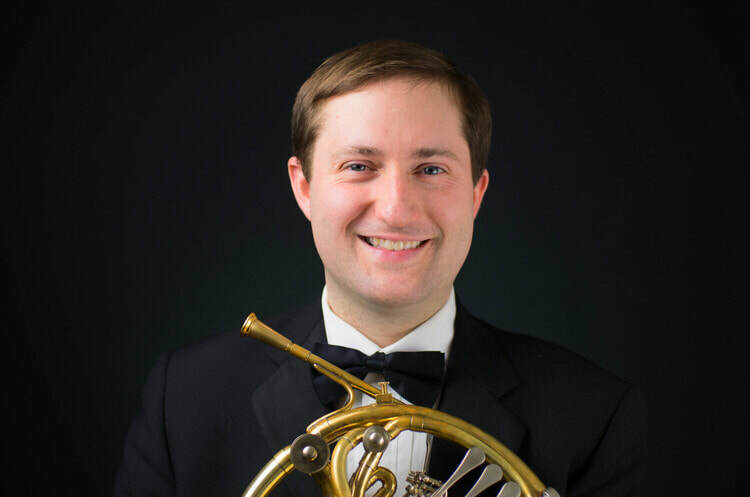 Brad Gemeinhardt, 3rd Horn of the Metropolitan Opera Orchestra, has performed in a broad range of classical and commercial settings, including performances as guest Principal horn with the Chicago Symphony Orchestra, the New York Philharmonic, and the Philadephia Orchestra. 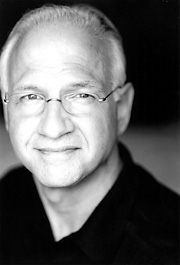 He has also performed with the San Francisco Symphony, Orpheus Chamber Orchestra, American Symphony Orchestra, Orchestra of St. Luke's, many Broadway shows, television and radio jingles, commercial recordings, and motion picture soundtracks. ​Brad received a Bachelor of Music degree from the Juilliard School where his principal teacher was Jerome Ashby (former Associate Principal Horn of the New York Philharmonic). He is also a graduate of the Interlochen Arts Academy where he studied with Bruce Henniss and Julie Schleif. Mr. Gemeinhardt serves on the faculties of the Juilliard School Pre-College Division, Columbia University, Temple University and is a Valade Fellow at the Interlochen Arts Camp. ​She has recorded for RCA, Deutsche Gramophone, CRI, Nonesuch and Vanguard labels, and is most famous for her performance of Wagner’s “Ring” cycle as solo horn with the MET Opera under the direction of James Levine. Landsman has performed as chamber musician at many festivals and concert series, including the Marlboro Music Festival, Chamber Music Northwest, the Santa Fe Chamber Music Festival, Sarasota Music Festival, La Jolla Summerfest, the Chamber Music Society of Lincoln Center, Orcas Island Chamber Music Festival, and the Metropolitan Museum of Art, where she appeared as a guest artist with the Guarneri Quartet. In the summers she performs and teaches at the Music Academy of the West , the Sarasota Music Festival, and the Aspen Music Festival. The concert series is a huge asset to Montpelier, presenting the highest quality chamber and other music to an ever-growing audience.